Free estimates in Medicine Hat, in Regina, in Swift Current & in Moose Jaw. Prestige products are crafted with the utmost attention to energy efficiency, durability & beauty. Our professional installers have installed countless home renovation and new construction windows for our wonderful clients! Our installers in Medicine Hat Alberta, Regina Saskatchewan and Swift Current Saskatchewan travel hundreds of km's to surrounding communities to install casement, awning, picture, fixed picture, bay & bow windows. The awning window opens from the bottom of the sash. It’s superior in providing thermal protecti.. The casement is hinged on the top and bottom and it opens like a door. 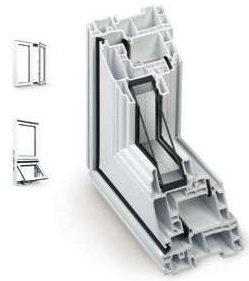 This provides superior ventil..
A fixed picture window is non-ventilating and is used to create maximum viewing area. As with Presti..
Bay windows are more than just windows. They are combinations of windows that reach out int.. Bow windows are more than just windows. They are combinations of windows that reach out into the wor..